Today was the last day of the sprint. We finished almost all the stories, only on the “search trips” we still have to do something on the UI. Tomorrow there will be the first demo where we will present the functionalities developed so far. Planning is done, and back from vacation. 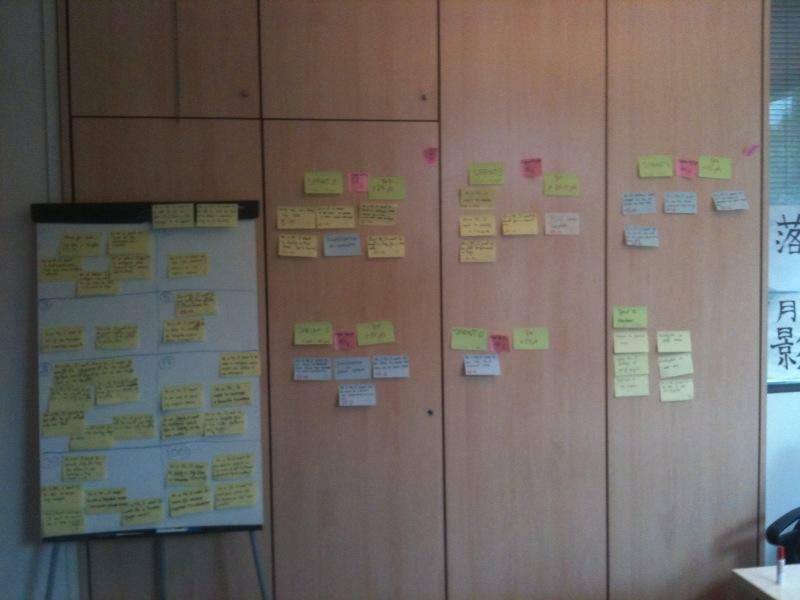 Time to get to the real stuff: implementing these user stories. We were given a short demo of what has been done during last week for us to catch up. We could already see the new tab, with some sections in it (they were previously in another tab and moved there), which actually work. Rather impressive! Céline and I started to work on the UI part of a story, and it went rather well. Now we need to start everything related to documentation, otherwise I fear we will have everything to do at the end. And the same goes for the automated testing. We will need to learn how to do that as soon as possible. Finally we have it: the big whiteboard! This morning the SCRUM team finally got his new big whiteboard! 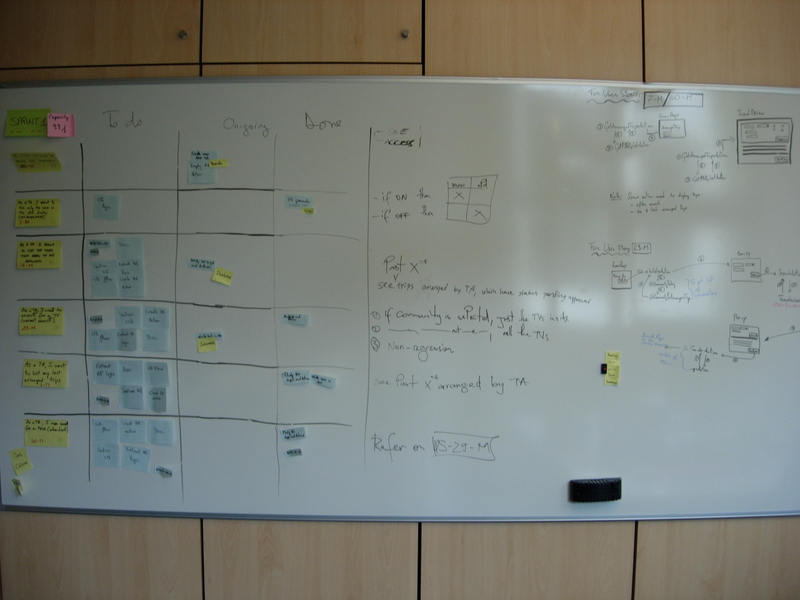 🙂 Soon some photos of the scrum board. There are some vacations during this week (Sebastien and Celine) but today we started the first iteration. Personally I started studying the code of some user stories then I decided to work on the user story that tells to have the new tab visible in the application, so pure UI … if we have to learn UI this is a good starting point! The new tab is already visible in the application but there is still work to do.